With the Cisco IP Phone 8811, you can increase personal productivity through an engaging user experience that is both powerful and easy-to-use. 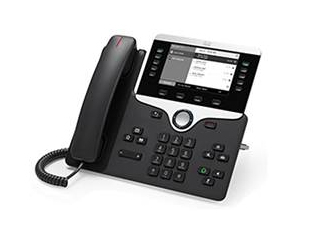 The IP Phone 8811 combines an attractive new ergonomic design with wideband audio for crystal clear voice communications, “always-on” reliability, encrypted voice communications to enhance security, and access to a comprehensive suite of unified communications features from Cisco communication servers. - The Cisco IP Phone 8811 offers a 5-in. high-resolution (800 x 480) widescreen backlit grayscale display. Localized language support, including right-to-left on-screen text, meets the needs of global users. - The phone supports a built-in Gigabit Ethernet switch for your PC connection. - Support for Cisco EnergyWise™ technology makes the Cisco IP Phone 8811 more energy-efficient and ecofriendly; the phone is qualified by the Energy Star organization. 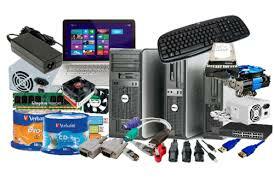 - An optional wall-mount kit is orderable separately for customers seeking this capability.